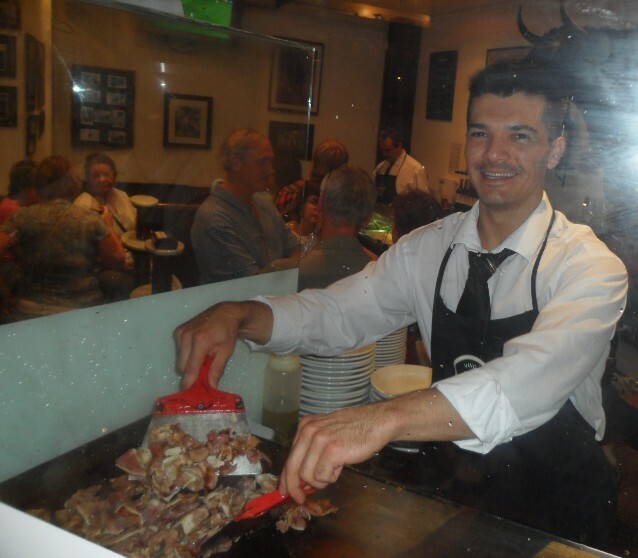 I got tricked into eating fried pig ears in La Oreja de Oro restaurant in Madrid. Here’s a brilliant piece of advice, being a foreigner in a country that isn’t your homeland may get tricky. You have to change (or at least adjust) your way of thinking, of acting and open your mind to many unusual things (and people) you could come across during your stay. But no matter how hard you try, you could still stumble over situations you would prefer to avoid. How come? Oh I know because it happened to me. I would have definitely preferred to avoid eating lightly fried pork ear. But I got tricked into chewing that funny tapa. And I got tricked by friends. Yes, that’s what happens when you are a guiri in Spain. Saturday evening started just perfectly. The night was warm, the stars were shining (well… it’s a bluff, they weren’t. We were in downtown Madrid and we could barely see the top of the closest building. I just wanted you to imagine the lovely situation that lured me into eating the most disgusting thing I have ever put into my mouth) and we were about to spend a crazy night out in a city that we all love. And what is more, we were going to celebrate (with a certain amount of margaritas and mojitos) a Polish-Argentinean reunion. A dear friend of mine, who used to live in Madrid years ago, a friend with whom I had spent the craziest parties by night and the laziest pool parties by day, came back to Madrid. This time she brought her lovely fiancé so obviously we had to simmer down our level of night craziness. In this scenario, a dinner out and drinks seemed like a good idea. Explanation: We’re not crazy. 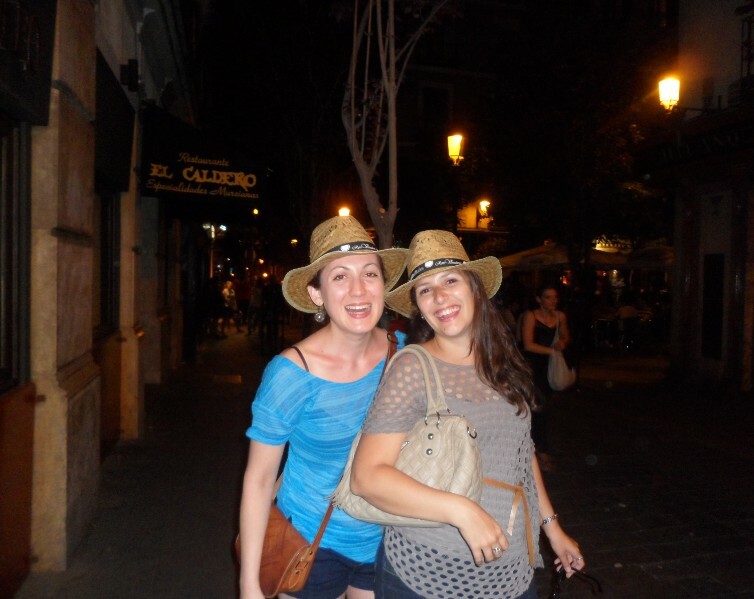 It’s perfectly normal to wear a floppy sun hat at night in Madrid. Before I start my story, you have to know that Argentinians love meat, every kind of meat and they need that bloody protein all the time. A dinner containing any kind of meat was a must this evening, without a doubt. It was proposed to me to visit the famous Oreja de Oro for some tapas (fried pig ears were not mentioned to me in that stage). I very much agreed because I love to eat and I certainly love Spanish food. Oreja de Oro is believed to be one of the most amazing and great place to have some fried pig ears. The spot was so lovely inside, it looked as if you actually found yourself in a 1920s Spanish tavern. The place was rather small, with a few high tables and a couple of barrels used as tables. We were lucky enough to get the barrel-table so we could sit for a while. The foxy Argentinians casually proposed ordering a plate of fried pig ears and as polite as I am, I agreed. I wouldn’t be so cheerful, if I had to fry tons of pig ears every day! Before they served us the plate, we had enough time to get a little happy with Spanish wine. I am almost certain it was done on purpose to me so I could actually forget (or at least care less) about the THING I was about to consume. Anyway, just when I was getting happier and happier with my Spanish wine, the teeny tiny pieces of fried pig ears arrived at our table. I won’t lie, it looked pretty delicious and I was kind of hungry after all the wine I had. Long story short, I put some pieces into my happy mouth and started to chew. And chew, and chew and it wasn’t that bad until I tried to swallow it. Swallowing was unfortunately out of my abilities at that particular moment. Not entirely my fault, I couldn’t forget about the pig ears in my mouth. I started sweating and my face turned red. And I don’t know why, but out of the blue, I remembered my mother who taught me to always be a lady. So I did and I got a huge sip of wine in order to push the chewed pieces of fried pig ears down to my stomach. And I still kept a smile on my face! See, I am being a lady even while chewing pig ears! 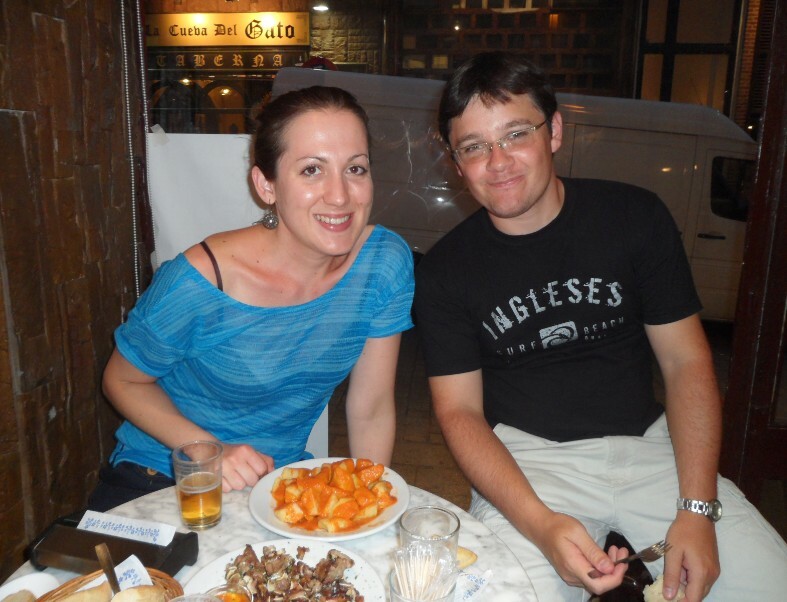 Au contraire, the Argentinians were in seventh heaven gobbling their portion of pig’s ears. Thank God they both agreed when I casually proposed to order some patatas bravas so I could try getting rid of this funny taste of uncooked pork’s ear in my mouth. It didn’t help a lot. But many rounds of mojitos did help me killing the strange taste, as well as to forget about my cannibalistic achievement from few hours before.